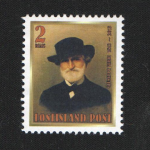 Modern-day Lostisland can’t be imagined without Lostisland Post – a postal operator of the Federal Republic. 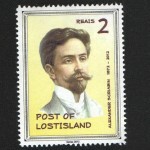 Lostisland Post is not a member of the Universal Postal Union and therefore cannot work as an independent postal provider, but souvenirs stamps issued in Lostisland are considered as an important part of Lostislandic culture and usually are being sticked on outcome correspondence of Lostislandians. 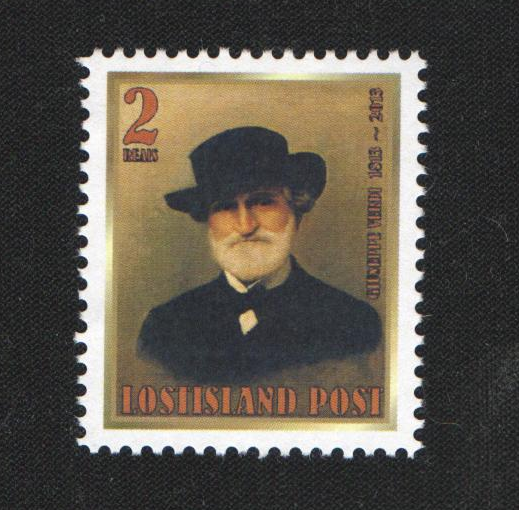 The history of Lostisland Post started in May 2012, and till nowadays it continues regularly presenting new stamp issues, which are available for purchase through the store. 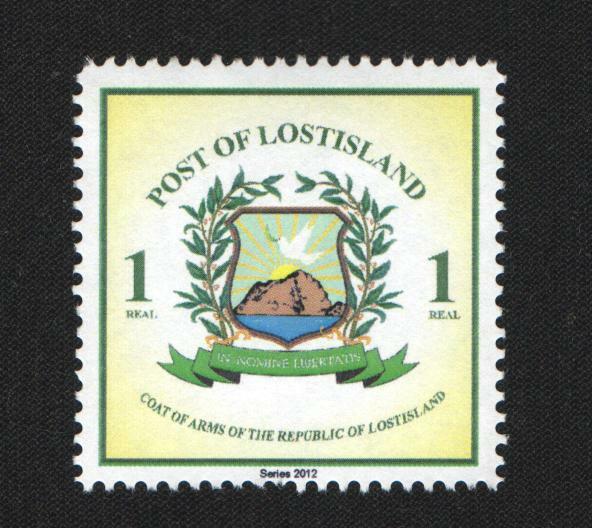 Coat of Arms of Lostisland printed on the first postage stamp issued in 2012 by Lostisland Post. 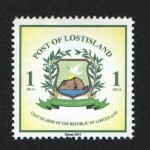 The first and most popular postage stamp of Lostisland Post, depicts the Coat of Arms of Lostisland. Nominated in 1 real, it was issued in May 2012 in the first series of stamps. An additional emission has been made in September 2012. 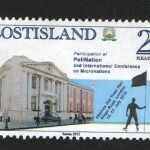 This stamp is being sticked on official documents of the Federal Republic as proof of validity. 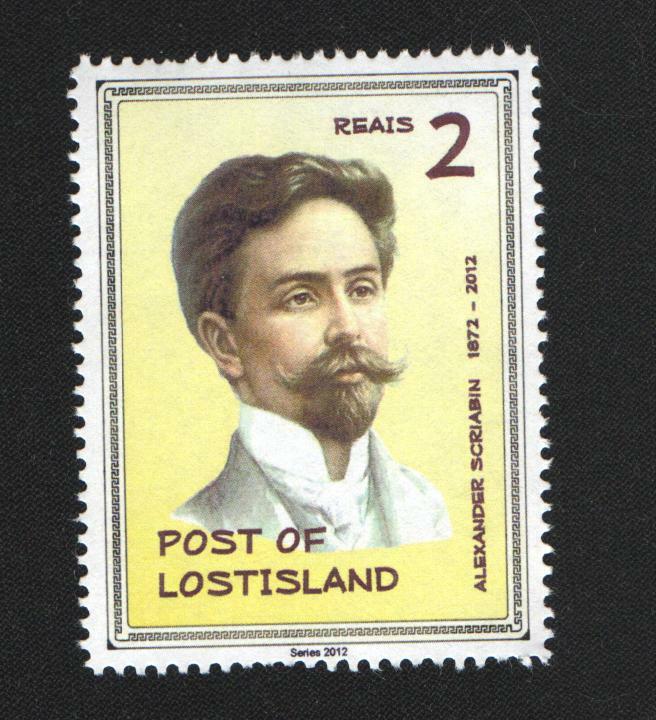 This stamp has been issued by Lostisland Post in 2012 to commemorate the anniversary of birth of Russian composer Alexander Scriabin (1872 – 2012), and is nominated in 2 reais. An additional emission has been made in September 2012. 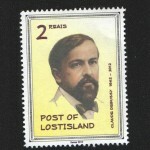 This stamp has been issued by Lostisland Post in 2012 to commemorate the anniversary of birth of French composer Claude Debussy (1862 – 2012), and is nominated in 2 reais. An additional emission has been made in September 2012. 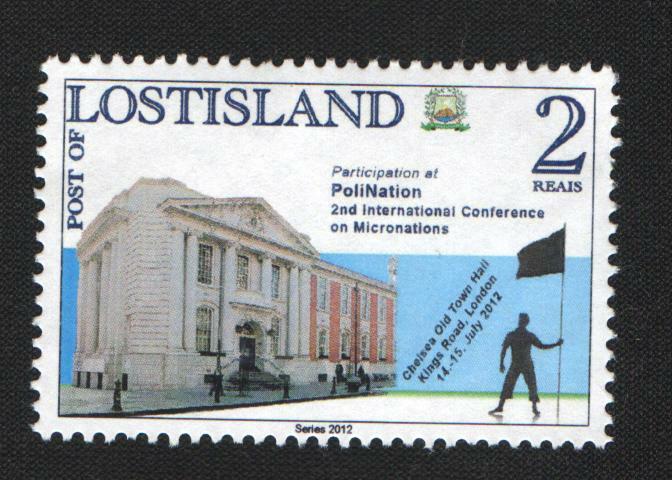 This series of stamps was issued to commemorate the PoliNation – 2nd International Conference on Micronations, which Lostisland planned to attend but failed in doing so due to unforeseen circumstances. Most of print run of this series was lost when posting, which resulted in the remaining stamps raising in value. 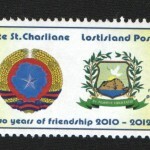 This series has been issued by Lostisland Post in collaboration with Poste St.Charliane, national postal provider of the Federal Republic of St.Charlie, and is valid as sign of postage in both Lostisland and St.Charlie. Joint Issue with the S.M.O.R.A. 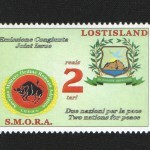 Series 2012, Joint Issue with the S.M.O.R.A. 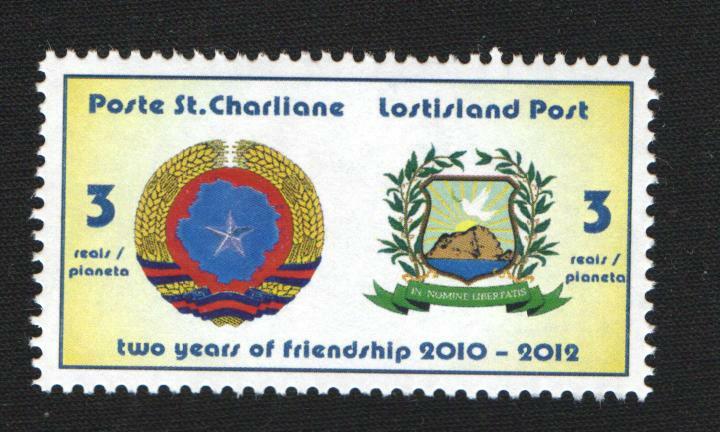 Standart stamp of the Series 2013 with the logotype of Lostisland. This series depicting the logotype of Lostisland has been presented by Lostisland Post in 2013 in order to replace the Series 2012 with the Coat of Arms. 2 reais stamp depicting the flag of Lostisland in front of Hunter Island. 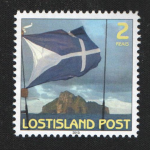 Presented in 2013, this series depicts the flag of Lostisland displayed in front of Hunter Island during the 2012 expedition. 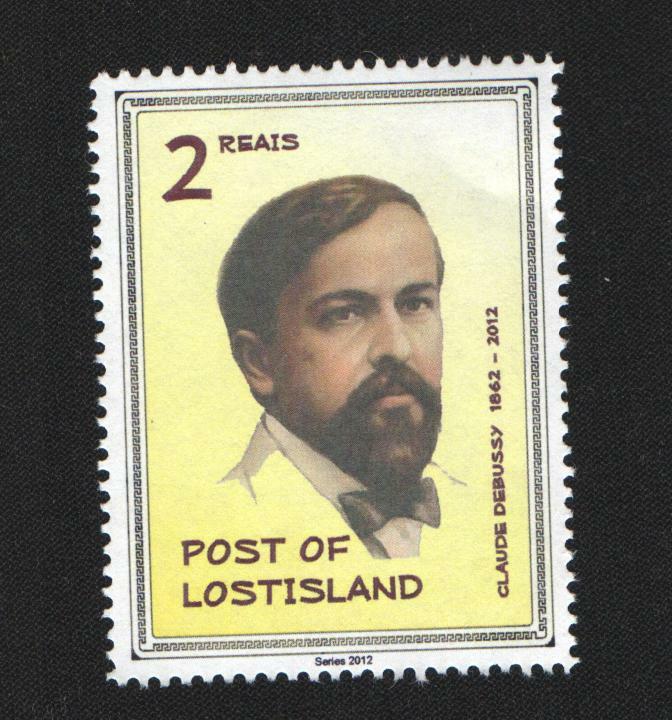 This stamp has been issued by Lostisland Post in 2013 to commemorate the anniversary of birth of Italian composer Claude Debussy (1813 – 2013), and is nominated in 2 reais. 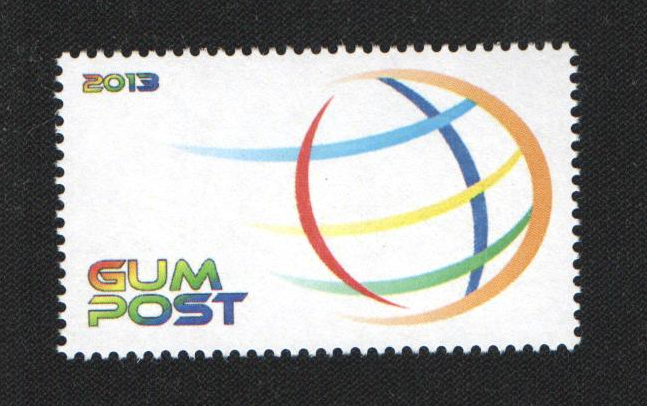 Stamp of the Grand Unified Micronational. 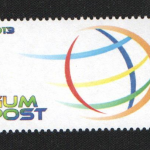 In 2013, Lostisland Post has been authorized as official stamp printer of the Grand Unified Micronational. 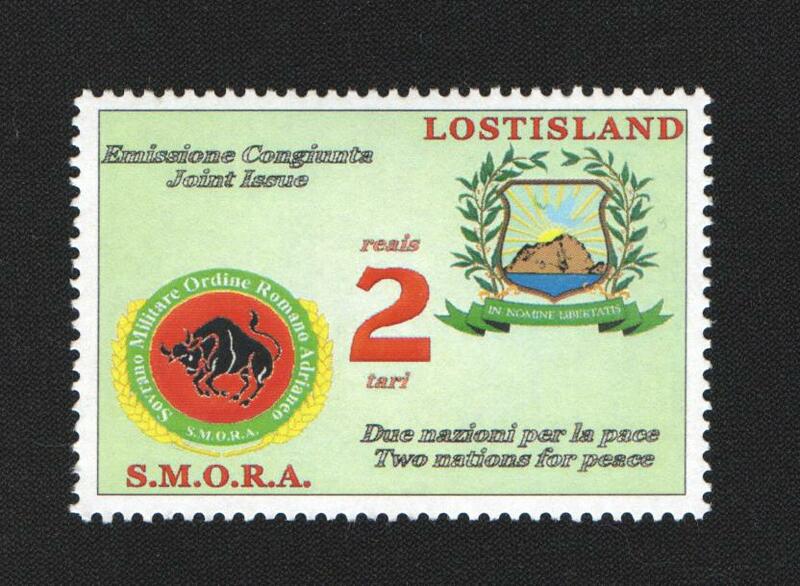 This stamp has been issued for the purposes of this organization Lostisland is a former member of.